Weighty Matters: Are you Feeding your Children Properly? And here I'm not talking about nutrition, I'm talking about how you actually feed them. What are your practices surrounding food? Do you have regular meal times? Do you use coercion to try to inspire vegetable consumption? Do you reward with treats? Pressuring kids to eat fruits and vegetables and markedly limiting their access to sweets and fatty snacks, along with using food as a reward are all strongly linked with dis-inhibited children's eating patterns. Adopting a knee jerk pattern of dietary restriction with an overweight child may drive that child to be more, not less, likely to overeat. The availability and exposure to foods at home most certainly affects children's long term food selections and preferences. 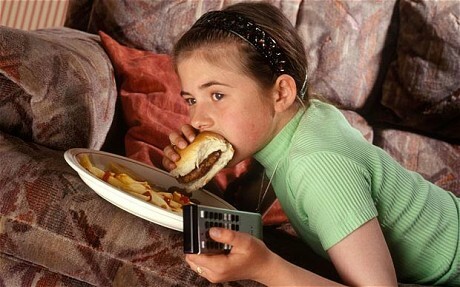 The earlier and more broadly a child is exposed to different foods, the healthier that child's eventual adult diet. The greater the frequency of meals in front of the television and/or the lesser the frequency of family meals, and/or the greater the use of food as a reward, the higher your kids' intake of sugar sweetened beverages. "Children like what they know and eat what they like." Don't pressure your children to eat (one bite rules are fine), or withhold dessert unless they eat their veggies. Don't reward them with food. Disband the clean your plate club.